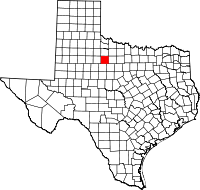 The Haskell County, Texas, website (http://www.co.haskell.tx.us/ips/cms) does not list procedures and fees for obtaining copies of county birth, death, marriage, and divorce records; instead, the website refers inquiries and requests to the state website (http://www.dshs.state.tx.us/vs/default.shtm). Birth records are confidential for 75 years and death records are confidential for 25 years. Certified copies are provided only to qualified applicants, but anyone can obtain a verification letter. A certified copy of a birth certificate costs $22.00; death certificates are $20.00 for the first copy and $3.00 for extra copies. Marriage and divorce verifications cost $20.00 each. Requests can be made online or by mail through the state.